Requiem for the Reef in an immersive surround sound performance that explores the past, present and possible futures of the Great Barrier Reef – one of the greatest natural wonders of the world. 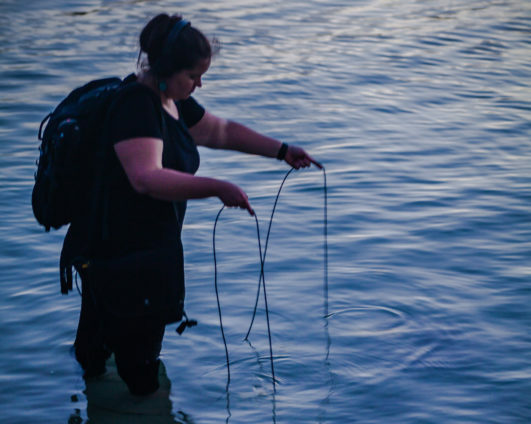 The work draws on local voices and ecoacoustic hydrophone (underwater) recordings submerging listeners in the sonic environment of this diverse and fragile ecosystem. The recordings are being used for biodiversity monitoring and are part of a large-scale interdisciplinary research project designed to explore sound as a call to action in ecological crisis. Requiem for the Reef reflects on acidification, extinction and the urgent need for interdisciplinary action.